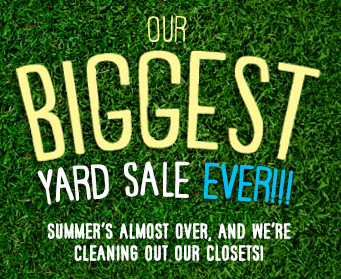 6pm.com just announced that they’re having a yard sale! You can save up to 80% off select pairs of sandals. Mens, women’s, and kids styles are all on sale, and I found pairs for as low as $6 each! If you find something you like for yourself or your kids, make sure you grab it ASAP. I have a feeling that they will sell out of the more popular styles very quickly.